You might have known by now that airtel earlier this month launchedcheapest weekend data plan of 1GB for N100 usable only on Saturday and Sunday. But it was quite unfortunate that Airtel once again adopted the archaic method of SIM eligibility for this offer, meaning that not all SIM are qualified for the offer. And it still surprises us on why on earth will Airtel at this modern age keep on introducing data plan that will be meant only for some selected SIMs of which nobody even know the criteria for the SIM elegibility selection. 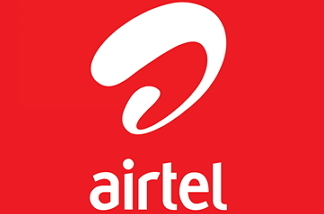 Even Airtel staff themselves cannot really tell what will make a SIM eligible for the Airtel 1GB for N100 data plan, and that has kept all of us wondering, but we can do almost nothing about the whole thing. That notwithstanding, for those of you that were lucky to have an Airtel SIM that is eligible for the 1GB for N100 weekend data plan and that have subscribed to it, here is how to check your remaining data balance at any point in time. To check for your remaining airtel 1GB for N100 data balance, simply dial the code *140# and you will receive an SMS reply detailing your remaining data balance.